Former Israel Ministry of Environment, Jerusalem: Director General; Deputy Director General for Industries; Chief Scientist. Executive Assistant to the Director, The Center for Applied Studies of the Environment, Hunter College (CUNY), New York. Project Manager on environmental issues in Angola, LR Group Herzliya; head of the advisory committee of Ramco Green Fund at Ramco Investment House; Chief Scientist of Tamarix Venture Capital Fund. Senior Researcher, AY Laboratories (water treatment consulting firm), Tel Aviv. Member of meny enviromental committees including the public council of Israel Government Fellows (IGF), the public committee of Maala and chair of Maala’s Environmental Committee, the Energy and Environment Committee of the ICC, and more. 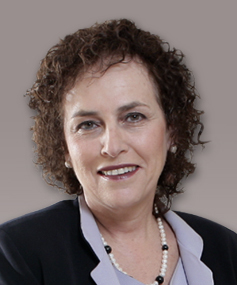 Boards of directors: Chairperson of the Israel Consumer Council; board member of BGN, technology company of Ben-Gurion University and of Jerusalem Institute for Israel Studies; ICL; and Director of Environmental Services Company Ltd.
Business consultant specializing in business plans, business models ‎and business development; mentor and lecturer at business accelerators and entrepreneur ‎centers; advisor to initiatives competing in BizTEC, judge of ‎BizTEC, extensive experience with research/consulting projects to the European Union and Israeli government agency. Environmental management, environmental strategy, environmental issues, sustainable consumption and environmental education. Policy tools related to the environment and consumer behavior.